The use of these products on gel injection sites with skin sores, pimples, rashes, hives, cysts, or infections should be postponed until healing is complete. Use of the product in these areas could delay healing or make your skin problems worse. One of the risks with using this product is unintentional injection into a blood vessel. The chances of this happening are very small, but if it does happen, the complications can be serious and may be permanent. These complications, which have been reported for facial injections, can include vision abnormalities, blindness, stroke, temporary scabs, or permanent scarring of the skin. 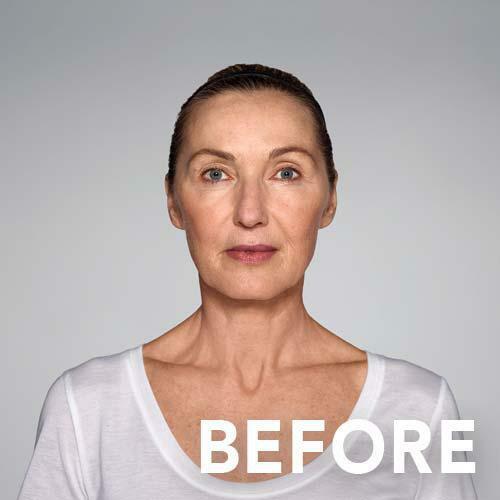 Indication: Restylane® Refyne is indicated for injection into the mid-to-deep dermis for correction of moderate to severe facial wrinkles and folds (such as nasolabial folds) in patients over the age of 21. Restylane Refyne contains traces of gram-positive bacterial protein and is contraindicated for patients with allergies to such material or for patients with severe allergies that have required in-hospital treatment. Restylane Refyne should not be used by patients with bleeding disorders, with hypersensitivity to amide-type local anesthetics, such as lidocaine, or by women who are pregnant or breastfeeding. The most commonly observed side effects include swelling, redness, pain, bruising, tenderness, lump formation, and itching at the injection site. Use at the site of skin sores, pimples, rashes, hives, cysts, or infection should be postponed until healing is complete. This product should not be injected into the blood vessels as it may cause vascular occlusion, infarction, or embolic phenomena. Use with caution in patients recently treated with anticoagulant or platelet inhibitors to avoid bleeding and bruising. 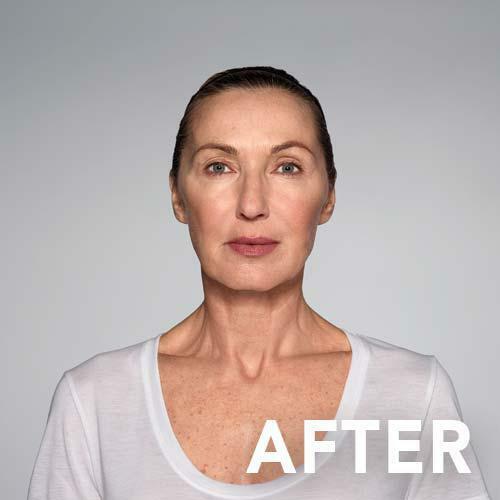 Restylane Refyne is available only through a licensed practitioner.